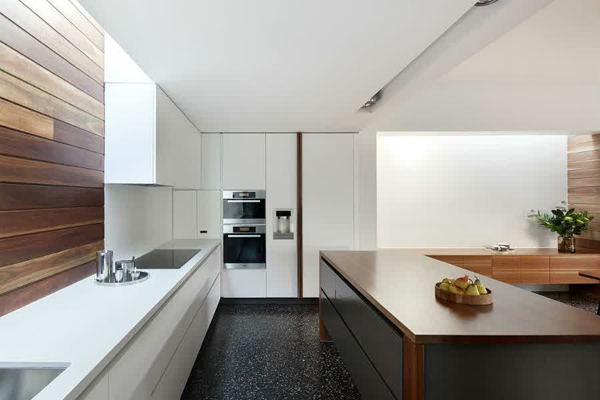 Neil Architects has completed Hoy Residence Project in 2008. A heritage this brick bungalow has been renovated with a new contemporary two story extension to the rear of the house. 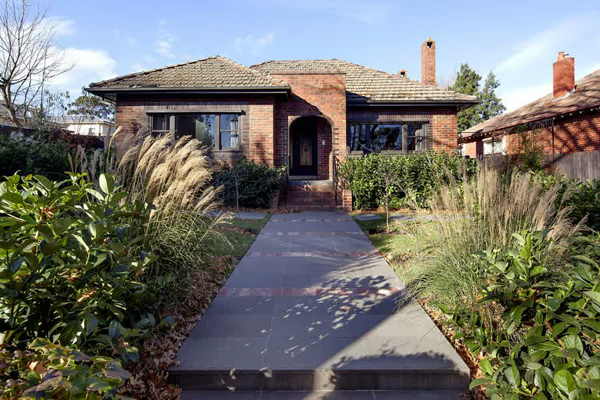 This heritage listed brick bungalow was in need of renovation to suit the needs of a growing family. The front facade and 3 rooms of the original house were retained, with a new contemporary two story extension to the rear of the house. 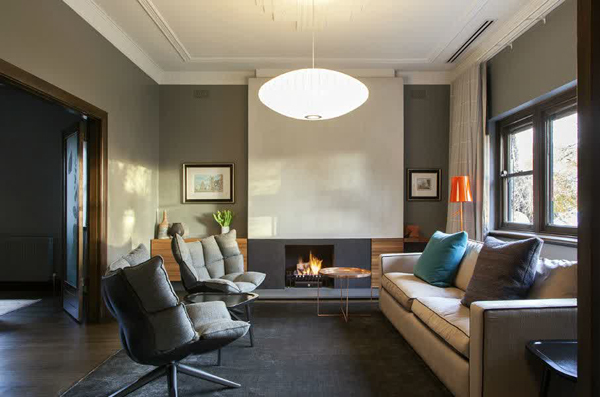 The original features of the lounge and master bedroom have been maintained and enhanced with a new colour scheme and lighting. 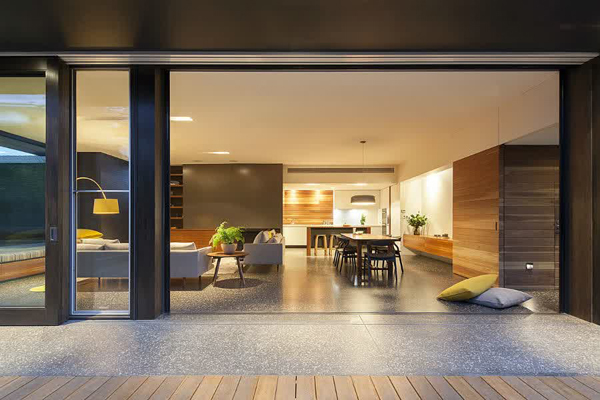 A hallway connects these spaces with the open plan living area, kitchen and dining at the rear of the house. 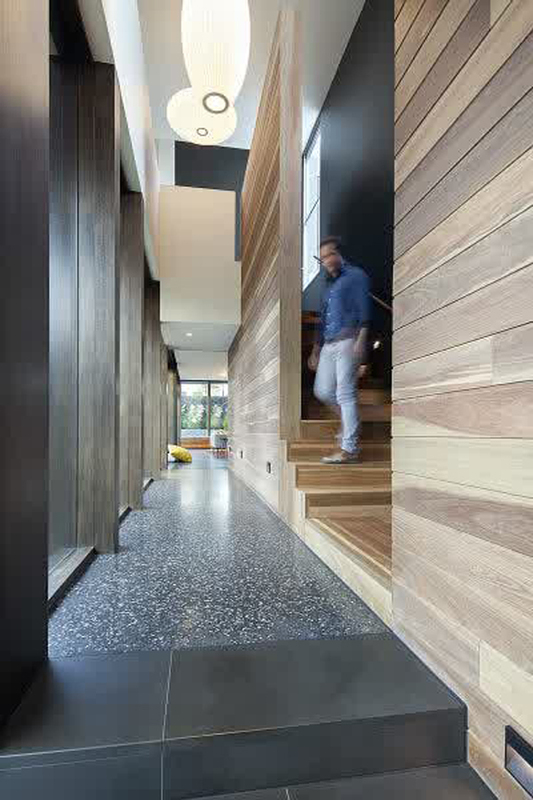 The hallway is glazed along the north side providing light and views to the garden and lined with timber lining boards to the other side. 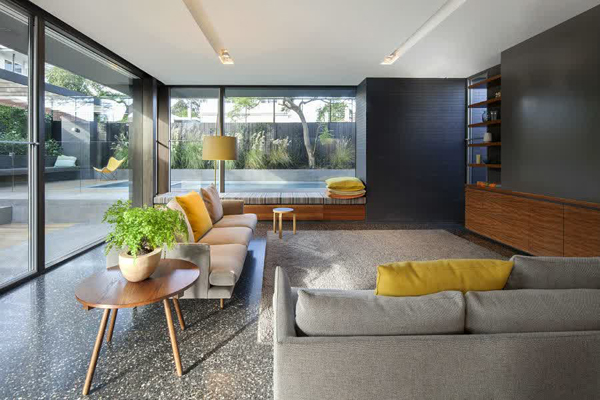 The living areas open on to an extensive outdoor entertaining area and raised pool to the rear of the property. 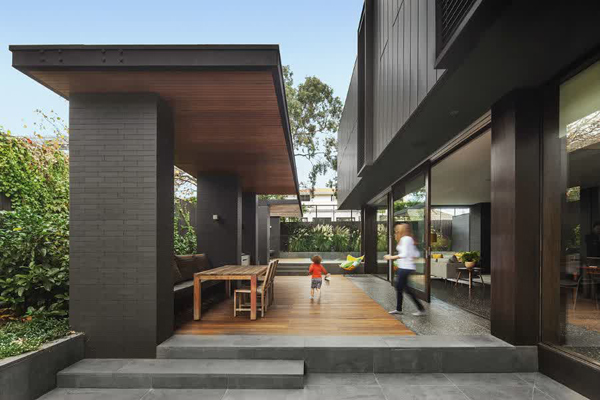 The materials and finishes include matt black tiles, used as a feature internally and externally and matt black aluminium cladding. The materials respond to the palette found in the locality and the use of tiles and patterning of the aluminium cladding, reference the brick features of the existing house.